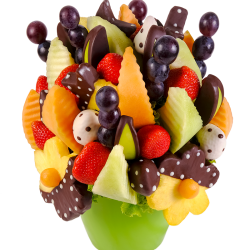 Sweet Present is edible bouquet, which a delicious combination of sweet melon, juicy strawberries, pineapple, grapes and green apples dipped in dark chocolate. 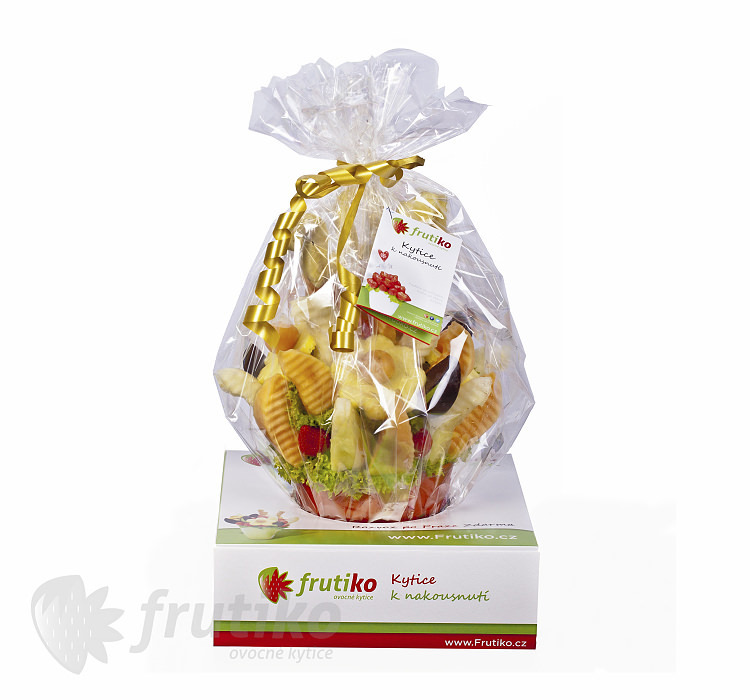 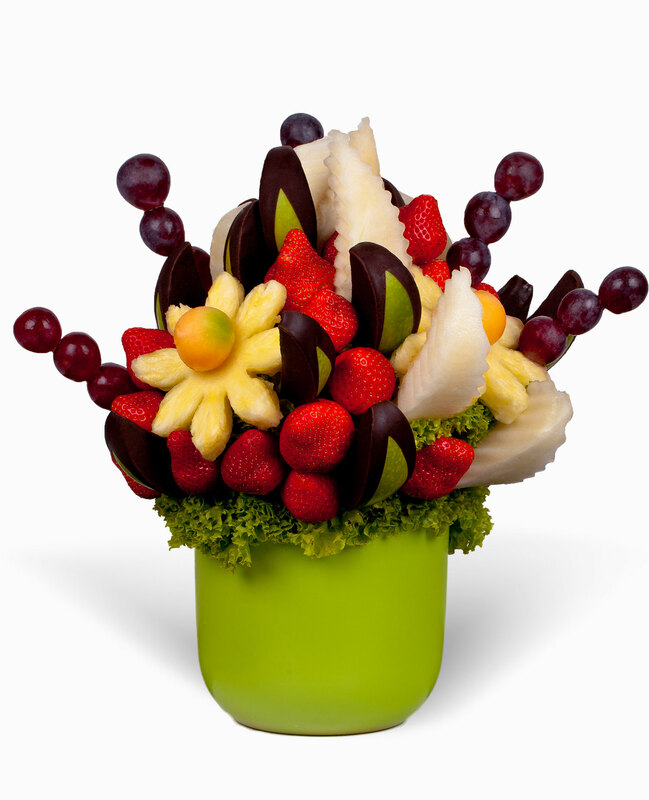 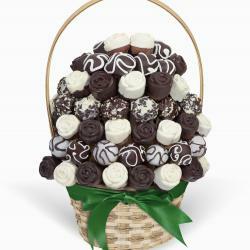 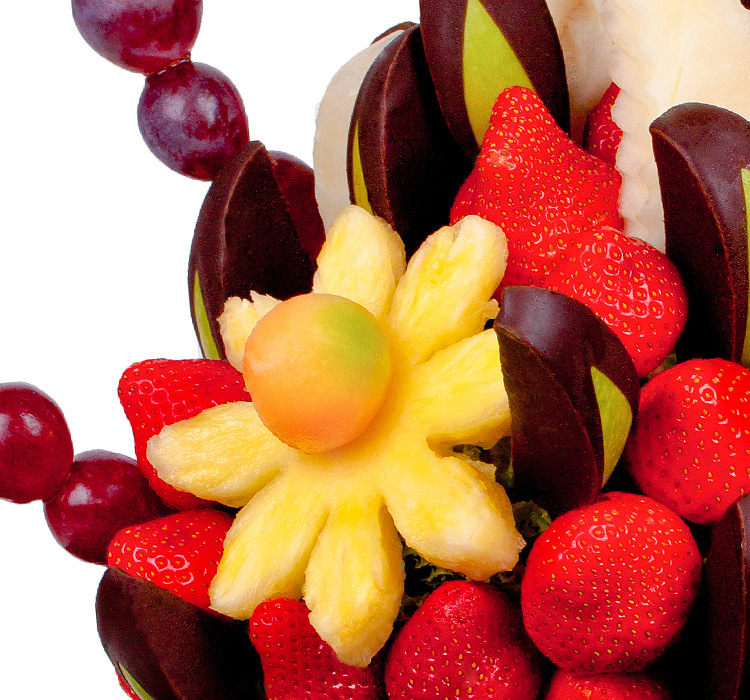 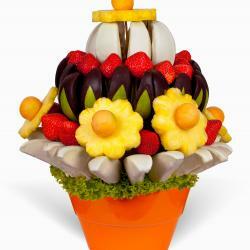 This fruit bouquet of fresh fruit and fruit in chocolate is original and excellent gift for any occasion. 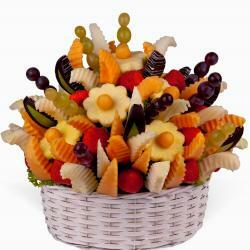 If you are looking healthy gift for children this flower will satisfy your need. 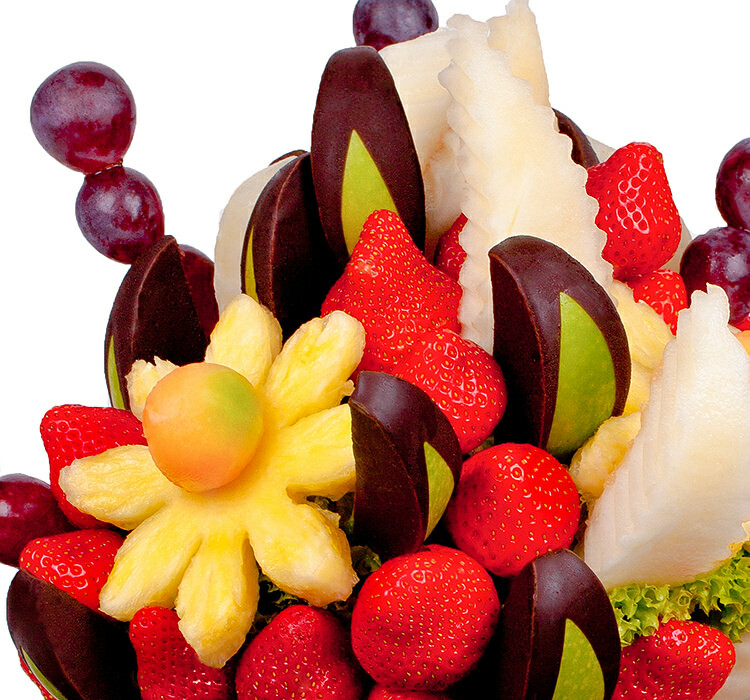 You can order it and please your friends, colleagues, family or anyone who enjoys high quality fresh fruit and chocolate.